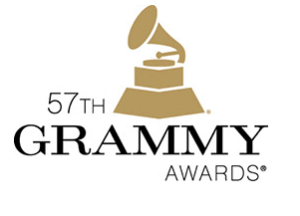 Nominations for the 59th Annual Grammy Awards Nominees have been announced. The awards ceremony will take place in Los Angeles on the 12th of February, 2017. In the Best Americana Album category, the nominees include True Sadness by the The Avett Brothers, The Cedar Creek Sessions by Kris Kristofferson, and Kid Sister by The Time Jumpers. In the Best Traditional Blues Album category, the nominees are Can’t Shake This Feeling by Lurrie Bell, Live At The Greek Theatre by Joe Bonamassa, Blues & Ballads (A Folksinger’s Songbook: Volumes I & II) by Luther Dickinson, The Soul Of Jimmie Rodgers by Vasti Jackson, and Porcupine Meat by Bobby Rush. In the Best Contemporary Blues Album category, the nominees are The Last Days Of Oakland by Fantastic Negrito, Love Wins Again by Janiva Magness, Bloodline by Kenny Neal, Give It Back To You by The Record Company, and Everybody Wants A Piece by Joe Louis Walker. Nominees in the Best Music Video category include the very soulful Leon Bridges for his “River” video. For a complete list of nominees, check here.